The rugged beauty of Sardinia has a very strong reputation for the enthusiasts of natural Mediterranean landscapes. Like diamonds in the rough, this wondrous Island is planted with magnificent green flora that emerges from the deep blue sea. From the cliffs of Cala Luna to the turquoise beach of Spiaggia del Principe the panoramic view is unrivalled. Porto Cervo, Sardinia and its glamorous life of luxury and extensive night life options will give you the taste of a unique lifestyle. Cala di Volpe, in similar tones, offers a quieter but still luxurious experience. The constant element in all these pictures being a fabulous scenery with different shades of blue as far as the eye can see. 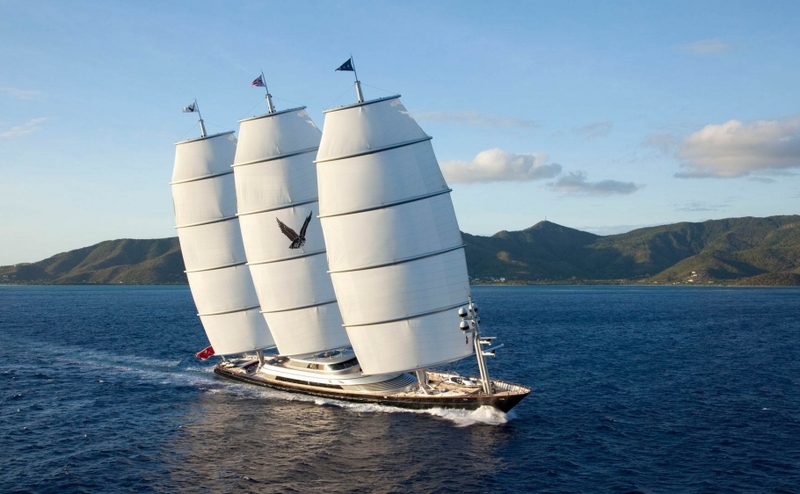 Sardinia is a luxury yacht charter paradise. Sardinia is a must-see destination for anyone who wants to experience the best that Italy has to offer, but craves a more relaxed atmosphere than you find on the mainland. 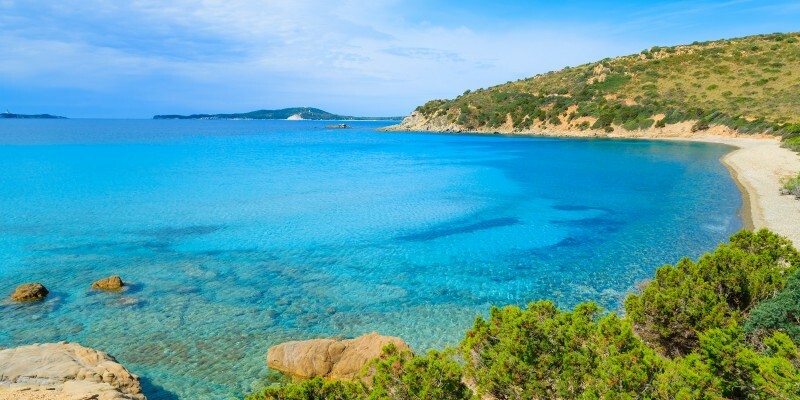 Whether the glitz and glamour of the Costa Smeralda is your thing, or you prefer exploring rugged natural landscapes, Sardinia is the ideal destination for you. 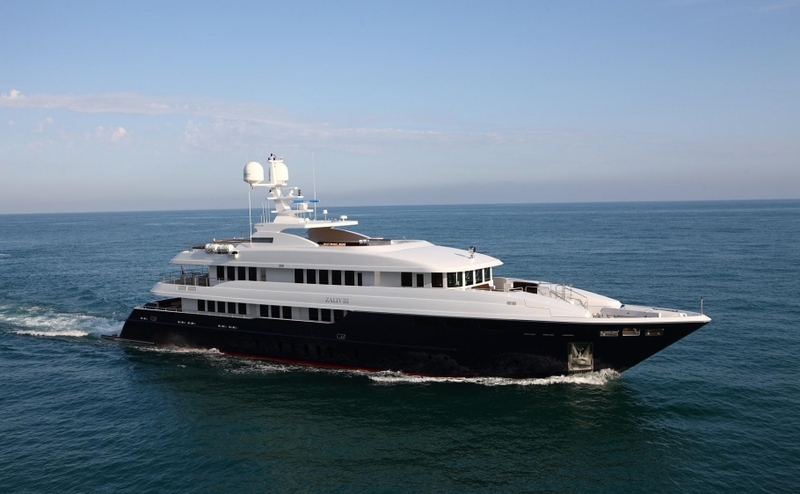 And there’s no better way to explore this jewel in the Mediterranean’s crown than by chartering a luxury yacht. The second largest of Italy’s islands, Sardinia sits in the middle of the western Mediterranean, directly below the French island of Corsica. The island is studded with harbours capable of mooring vessels of all sizes, making it the ideal destination to escape to by yacht. Marina di Cagliari is located in southern Sardinia and is one of Italy’s largest and best equipped marinas, providing ideal berthing for yachts and superyachts, as well as easy access to the island’s capital and all it has to offer. To the north of the island, Marina di Porto Cervo is a beautiful and perfectly sheltered harbour that offers 700 berths for vessels of between one and six metres. Split into two parts, the East Dock, also known as the Old Port, is part of the village of Porto Cervo, while the New Marina is part of the Marina Village. Marina di Porto Cervo is the ideal mooring point for access to Costa Smeralda. The Port of Alghero is situated to north west of the island, with moorings and jetties available for yachts ranging from 10 metres to 70 metres in length. This port offers easy access to the ancient, walled city of Alghero, which is known for its cobblestoned streets, Catalan gothic buildings, and 14th-century church – ideal you want to sample some of the island’s historic highlights. The port at Olbia offers a perfect stop-off for history buffs, where its archaeological museum sits in the harbour area alongside a Pisan-style basilica. The island’s larger towns of Cagliari, Sassari and Alghero have the most to offer visitors, with Cagliari in particular presenting the most diverse island experience. Take a trip to the capital’s marina for some of the island’s best restaurants and vibrant bars, and visit Via Manno to partake in some stylishly Italian shopping. 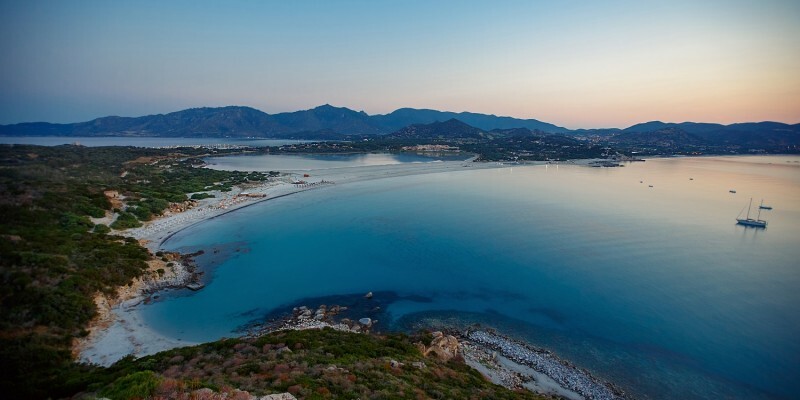 If you simply must sample the island’s most sophisticated boutiques, a trip to the Costa Smeralda is essential – this tiny strip of coastline is sprinkled with glamorous fashion houses and glitzy hotels. Back in Cagliari, the medieval hilltop Castello hosts a mass of museums, while the Torre di San Pancrazio and Torre dell’Elefante are two 13th century defensive towers that still stand atop the citadel and offer the most spectacular views over the city and the sea. If you dock at Alghero, a walk along the ancient walls is a must, ideally at sunset to take in the views across the town and out to sea over the sheer cliffs of Capo Caccia. Olbia provides one of the island’s best hubs for restaurants and nightlife, where the glitz and glamour of the Costa Smeralda boutiques meets the most vibrant bars and eateries. If you prefer something a little more rustic, then Alghero has a host of bars and restaurants offering the best freshly-caught seafood the island has to offer. No trip to Sardinia would be complete without kicking back and relaxing on some of the Mediterranean’s best beaches. To the south of the island, Chia is a sleepy seaside village with some beautiful beachy bays that are home to flamingos and other wildlife, while Costa Smeralda’s Spiaggia del Principe is a remote, pink-granite coastline that encircles a bay of golden sand leading into the turquoise sea. This part of the island was discovered by yacht, and you can do your own voyage of discovery with a Princess Charter yacht. Sardinia is a great, year-round destination for yachting holidays, with dry, hot summer and short, mild winters. The weather starts to really warm up in March, and May to September packs the best of the summer weather (it might be worth avoiding August if possible though, as the island can get crowded with holidaymakers from the Italian mainland). If late summer sun is what you need, the clement weather carries on right throughout October. 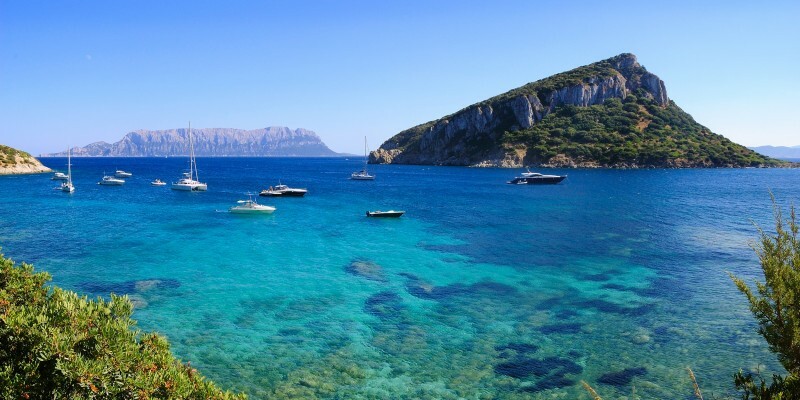 The island can be accessed by flights to Alghero, Cagliari and Olbia, and each of these towns also have the islands main ports where you dock your yacht if you sail in from the mainland or anywhere else in the Mediterranean. The currency used on the island is the Euro, and the local language is Italian, although the Sardinian language of Sardo is still widely spoken. 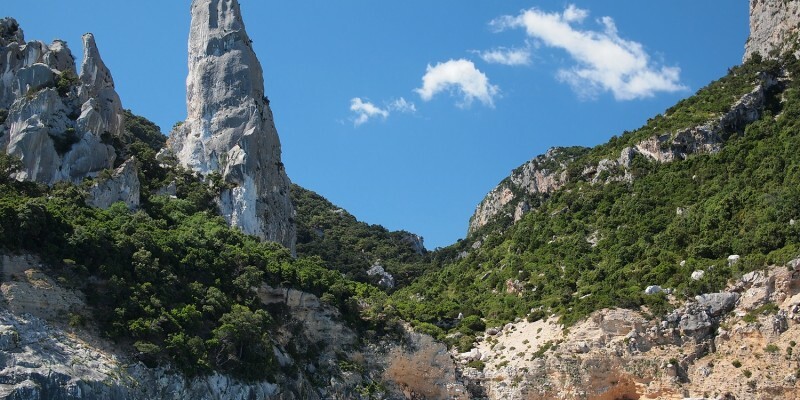 Sardinia is accessible by both sea and air, but arriving and exploring by yacht is far and away the best way to appreciate the rugged beauty of this Mediterranean island. Princess Charter offer a variety of yachts for charter to Sardinia, ranging from 20 metres to 100 metres in length. To book your perfect getaway, give our team a call 0207 499 5050, or email info@princessyachtcharter.com. Alternatively, leave a few details here, and we’ll get right back to you.